Leader of the Opposition Philip J Pierre gave the following statement in response to Prime Minister Allen Chastanet's New Year's State of the Nation Address earlier today at an SLP press conference. "When the Prime Minister takes the podium to address the nation certain minimum standards are expected of him: he must be respectful of his audience; he must be truthful and honest; he must be responsible in what he promises; he must be realistic in providing hope, and he must always be mindful that he is expected to set a good example for others to follow, especially our youth. On Sunday 13th January, 2019, in delivering his New Year’s message, the Prime Minister failed miserably to meet those standards. His address reeked of desperation in that he promised so much after having spent two and a half years of doing nothing. It was simply another show of disrespect for the intelligence of the people of our country. The Prime Minister continued his pattern of stringing words together with no regard for truth or the fact that his words lack credibility as they can be easily shown to be not factual. For example, let us start with the issue of debt. International bodies and investors always use the National Debt as a measure of a country’s credit worthiness. When a Minister of Finance speaks about or quotes debt figures he must ensure accuracy. Prime Minister Chastanet does not seem to be aware of these basic principles. This is simply mind-boggling. Prime Minister you must learn to tell the nation the truth. Here is the truth. According to the Estimates of Revenue and Expenditure, $196.6million was borrowed in 2016, $241.2million was borrowed in 2017, and $300.9million was budgeted to be borrowed for 2018! A total of $738.7million. In addition, the Prime Minister has borrowed huge sums which were not stated in the Budget. It was also announced that he will borrow another $68 Million to waste on a new wing at St.Jude Hospital which the Prime Minister announced last night, will commence soon. The amount of $1.2 billion would have been borrowed since 2016! And for this year alone, non-budgeted borrowing for a total of $515 Million! And we are still two and half months from the end of the financial year. Based on current trends, we can expect that figure to grow. The Prime Minister tries to hide his reckless borrowing and spending by claiming that there is an income stream for the Airport. Borrowing is not as simple as having a dedicated income stream- this is not a world of fairy tales- it’s a real world where events are dynamic. Income streams are not fixed. The Saint Lucia Labour Party reiterates that the $270 Million being borrowed for the Hewanorra Airport is not the prudent way to approach this development and calls on the government to rethink its approach so as to control this mounting debt burden on the backs of the young people of Saint Lucia and return to the Private Public Partnership agreement that was previously negotiated. He should follow the path of other islands who have a greater number of airport arrivals than Saint Lucia but have embarked on a PPP arrangement. The PM has Jamaica and Barbados as glaring recent examples to learn from. It is not only the SLP which is begging the Prime Minister not to place us on this treacherous path. Very recently the Independent Senators of Parliament made known their deep concern about the Government’s borrowing for the airport reconstruction project. In his Address, the Prime Minister speaks of inclusiveness and consultation but has refused to reinstate the subvention to The National Trust. The Medical and Dental Association and other partners continue to be excluded from plans for our health care system. Trade Union leaders are abused and threatened for demanding respect for the rights of workers. The Prime Minister is best known for his boast, “I don’t listen to them, I just let the jackasses bray”. How much inclusiveness is there in that statement? Our health services continue to be a cause of concern. The Victoria Hospital is operating beyond its capacity; medical supplies are deficient and nurses and doctors are overburdened and overworked. Yet we have no word on the future for our health system. No word on when the Owen King European Union Hospital (OKEU) will be fully operationalized. Meanwhile, the OKEU itself is starting to suffer with Air Conditioning systems breaking down and medical equipment affected from lack of servicing. We were told that there would be universal health insurance for all in place by the end of 2018 but where are we? 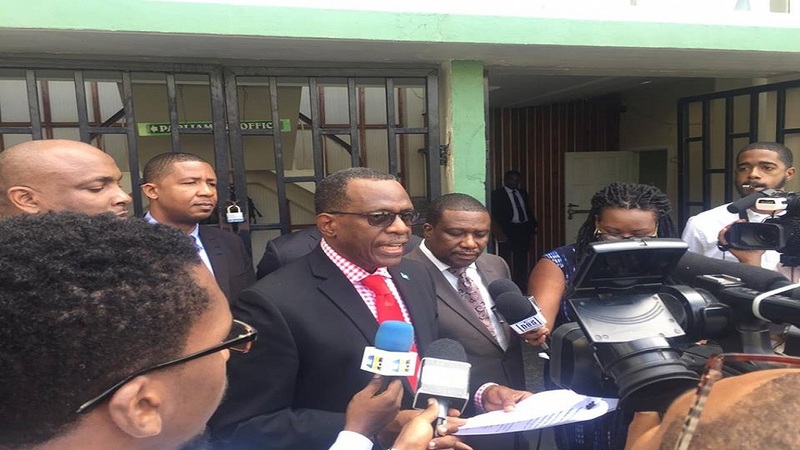 The Prime Minister must tell Saint Lucians what has happened to Health City Cayman and is it true that negotiations have started with a Latin American health care provider to replace Health City Cayman? 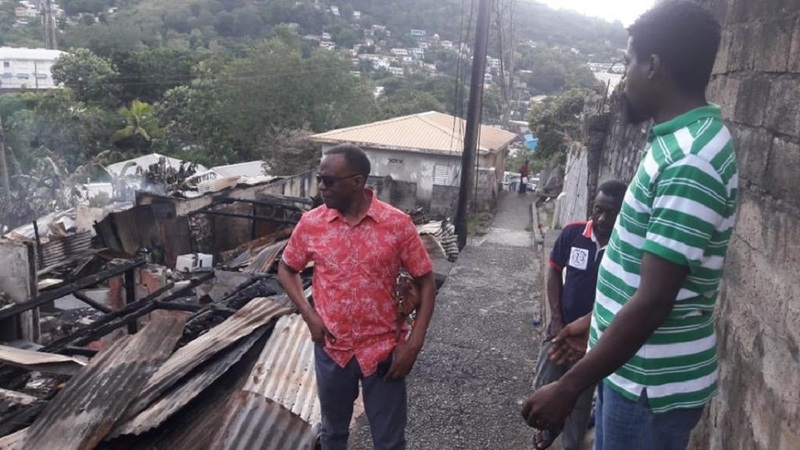 The situation at the George Odlum Stadium is worsening daily while the government plays cheap politics with the health care of the people in the South of the island. We were promised that construction of a new wing would commenced last year, now we are told that clearing of the site is being done. Can the Prime Minister inform the nation of what exactly will be done with St. Jude Hospital and when? Can the Prime Minister tell the nation whether the buildings at St. Jude Hospital built for the people of Saint Lucia will be handed over to a private medical education institution? The Prime Minister must deliver on his promise to make St. Lucia safer. Citizens are traumatized at the more than one hundred and twenty homicides that have occurred since June 2016. We call on the Minister of Finance to deal with the complaints by the Police for a better salary and improved working conditions. Are we safer now? The failure of the UWP government to cause IMPACS to disappear as promised during the last election campaign is seriously affecting the morale of members of the Police Service. 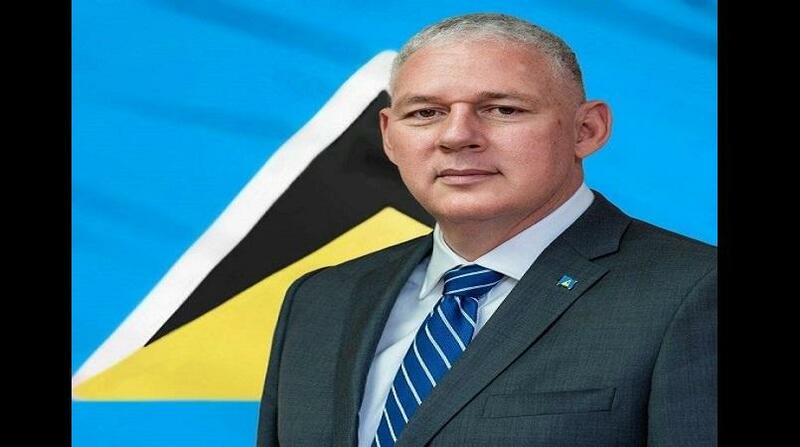 The Prime Minister through his promises to the Police and the United States and the actions taken have placed Saint Lucia in a very precarious position legally and financially. The Prime Minister promises of investment and job creation have to be taken in context. In his budget address in 2017 the Prime Minister promised 2000 new hotel rooms and over 4500 jobs. He also promised 800 jobs at DSH, new hotel at Pointe Seraphine and breaking down the Parliament, Printery and Court House before the end of 2018. The most recent investment promise is a Hyatt Hotel at Choc with eight hundred rooms. None of these projects have actually commenced. The Prime Minister says that banana exports are at an all-time high but marketing agents Winfresh have declared that the outlook for bananas on the United Kingdom market does not look promising for 2019. It is the same PM who misled us to believe that we would start exporting bananas to France immediately after the last elections and followed with another lie by his government that shipments had already begun in 2017. While the Prime Minister continues to live in a world of fairy tales the future of our banana farmers remains precarious. The redevelopment of the Hewannora International Airport will be the largest single infrastructure project in the history of Saint Lucia. Yet, there will be no public tendering – not local, nor regional, nor international. Imagine that the drawings are not completed, the costings not yet final, the loan not yet finalized yet a contractor has been chosen! Similarly, the public deserves to know how the contactors will be chosen for any proposed road construction. Will the procurement be by direct award to friends, family and foreigners or will there be a fully transparent process where all contractors will have the opportunity to participate? 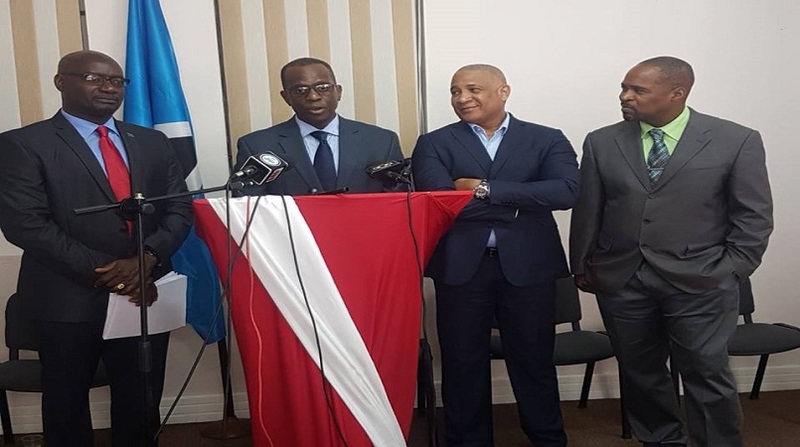 The Saint Lucia Labour Party warns that these commitments are made on behalf of the people who will be paying that debt and advises all relevant authorities in the public service to ensure that proper procurement rules are observed and practiced. After 30 months, evidence of the government’s dismal performance is overwhelming. The conditions at the Sir Arthur Lewis Community College are a source of shame and embarrassment not to mention a show of disrespect for Sir Arthur’s international reputation for excellence and the education of our young people. Our public and civil servants are frustrated by political interference and the failure of government to settle their salary and conditions of work. There is general disregard for the basic principles of good governance, transparency and accountability in the actions of this government. Our young people are frustrated as there seems to be no direct effort to improve their future prospects for growth and development, while debt is mounting at an alarming rate. The Saint Lucia Labour Party will continue to call on the government to be inclusive and engage in serious truthful dialogue with the people of Saint Lucia. 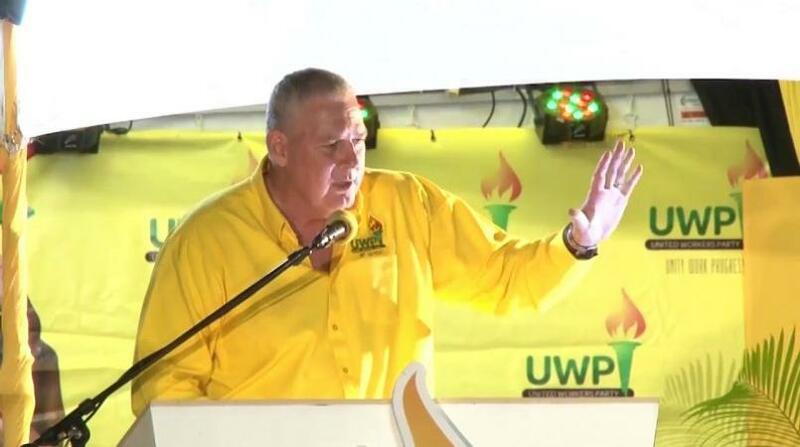 We call on the government to embark on realistic economic policies that will ensure that less people remain poor and that economy activity is benefitting all the people of Saint Lucia."